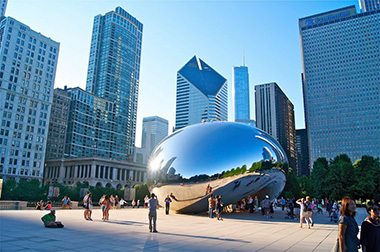 Edison, NJ for Abilities Expo was a fabulous success, so of course, we're headed to Chicago!! 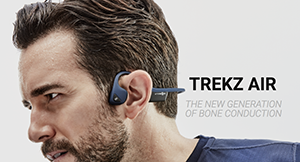 Come and see us at booth 216 and enter to win a pair of Aftershokz Bone Conduction Headphones or a pair of Berkely Goggles from ZeeGoggles.com. 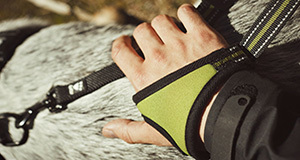 Introduce us to your service dog and take home a fabulous Hurtta Free Hand leash. There are some other awesome goodies in the works as well so stop by! I can't wait to see you. 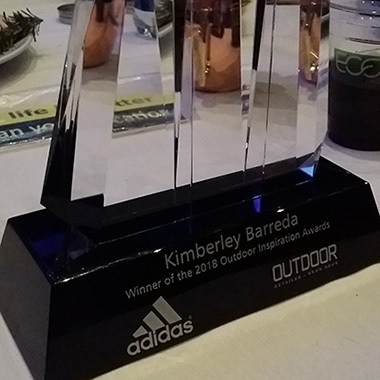 Unlimbited.com founder and DT Magazine Editor Kimberley Barreda was presented with the prestigious 2018 Outdoor Inspiration Award at Outdoor Retailer in Denver, CO on January 25, 2018. The honor was bestowed upon Kimberley, who was chosen from a distinguished field of notable nominees that included ski industry icon Klaus Obermeyer (Obermeyer.com), Christy Pelland (SheJumps.org), and John Sterling, Director of the Conservation Alliance (conservationalliance.com). 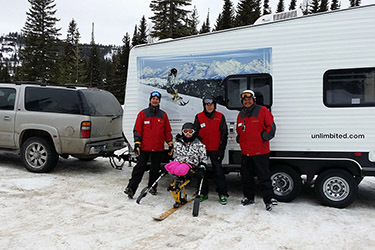 2016 was a great year for Unlimbited Adaptive in terms of skier days, and community outreach. 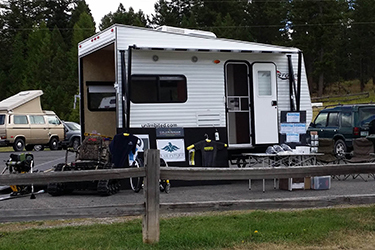 The trailer was on display at the Flathead County Fair where we met a lot of new friends and got to demonstrate the skis and other adaptive gear to people who were interested. We got a few new hockey players as well. We also were at one of the most fun events in the valley, the Care Farm Challenge with the trailer and the cooling / misting station. It was a huge hit and we'll be back again this year for the 3rd time. Can't wait. 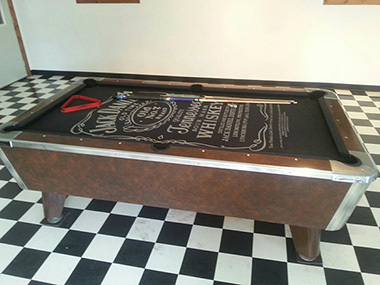 Get your tickets for your chance to win this gently used, coin operated Jack Daniels branded commercial pool table. There are only 2500 tickets available for this unique and fun prize. One ticket has 1 in 2500 chances to win. Get the 5 for $20 deal and your chances increase to 1 in 500. Those are great odds. 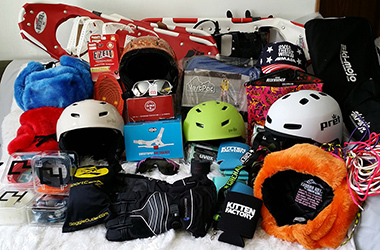 Proceeds from the raffle go to support the Unlimbited Ski Program. 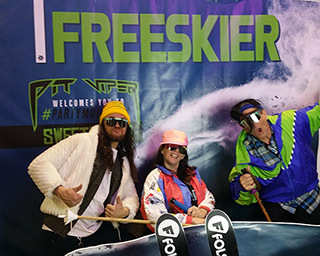 For the majority of skiers, 100 days a year seems like an incredible season. For those with a few screws loose, 200 seems like a good amount of sliding for the year. 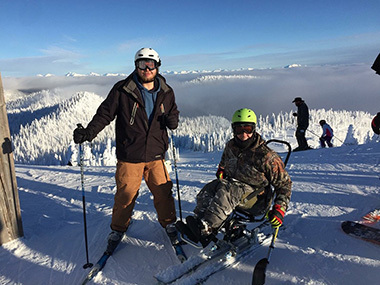 Well Kevin and Kevin (K2) hope to set out for an insane season and are chasing 300 days on snow from November to November. While some question their snow addiction - saying they will "get burnt out" - the Kevins just smile, laugh and say bring it on. Freezing cold, snowing, blowing, flat light, the end of the day is usually a smile, a beer and a "hell year, we got to ski today!" Skiing 300 (or more) days in a season has been done before - so what makes this different, or special, or worthy of being filmed? 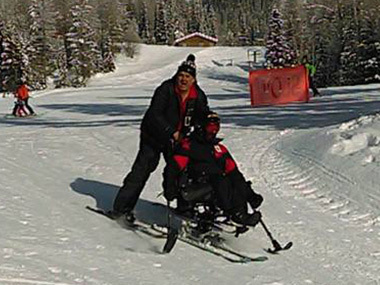 Part of it is the joy of skiing - and the telling of the story of an endless winter. 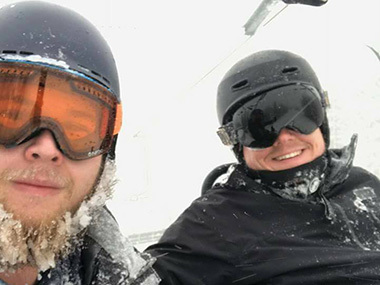 2 guys who's first love is sliding on snow and the story of chasing the high that comes along with an epic day amongst the best of friends (whom they just met on the lift). Some of it is showing what it takes to get to a 300 day season. not all days will be pure joy on the hill - skiing through sickness (cough - hung over) and possibly injury and the events in life that just happen that can easily prevent achieving this goal. 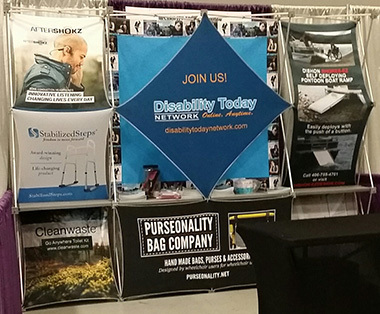 I've been getting info on a lot of great new items and programs that need help to be produced. In addition to the ones I run here for Unlimbited programs and the SocialArchitect.com general fundraisers, other groups and issues can use some love too. 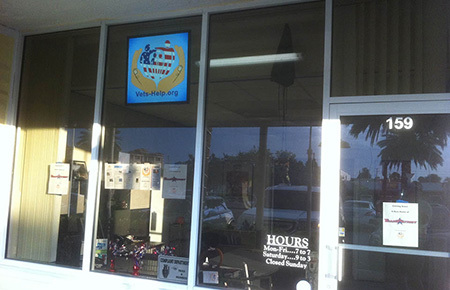 Vets-Help.org is planning a Veterans Reintegration Center at Rockingham Motor Speedway. The goal is $25,000 to start the housing and other projects. A great new Wheelchair Accessible Drift Boat. I don't know what a drift boat is for but it sounds fun. 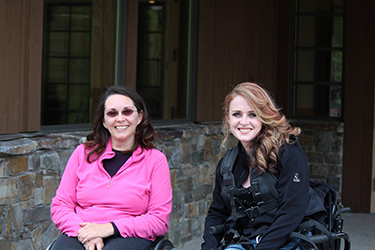 Criptaedo is a self defense program for people with disabilities. 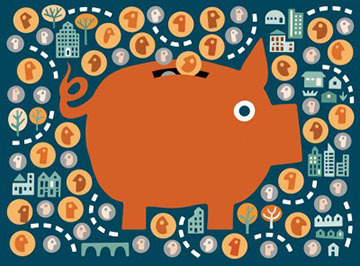 If you have a fundraiser you want included here, let me know and I'll check it out. If it fits what I do and is something I can support, I'll add it and spread the word. 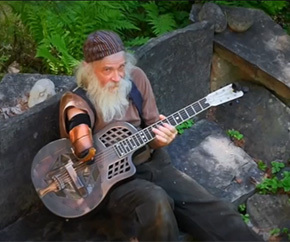 I love the Paralympics. Not only for the competitions but for the promotion that comes from it and the positive changes we get to enjoy, even if it's just for a little while. 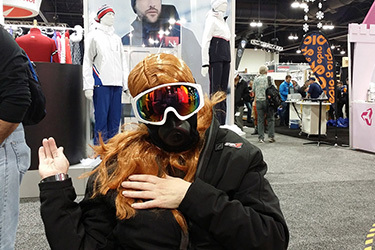 So much has changed since the shameful actions of the Sinful Six in Atlanta in 1996 when some companies declined to sponsor the Paralympics and then added insult to injury by refusing to release their sponsorship rights to other companies who did want to participate. Now we're seeing ads featuring recognizable athletes with strong back stories from known brands and not only are they exciting, they're inviting and insightful - making people interested on a deeper level.